You’ll have to sign up for a vimeo account, but it’s easy, fast, and free. And it’ll enable access to a download service that’s ethical and respectful of creators rights. The small sum we ask for goes towards making a small creative business viable. Please respect this and avoid pirate and freeloading sites that destroy livelihoods. 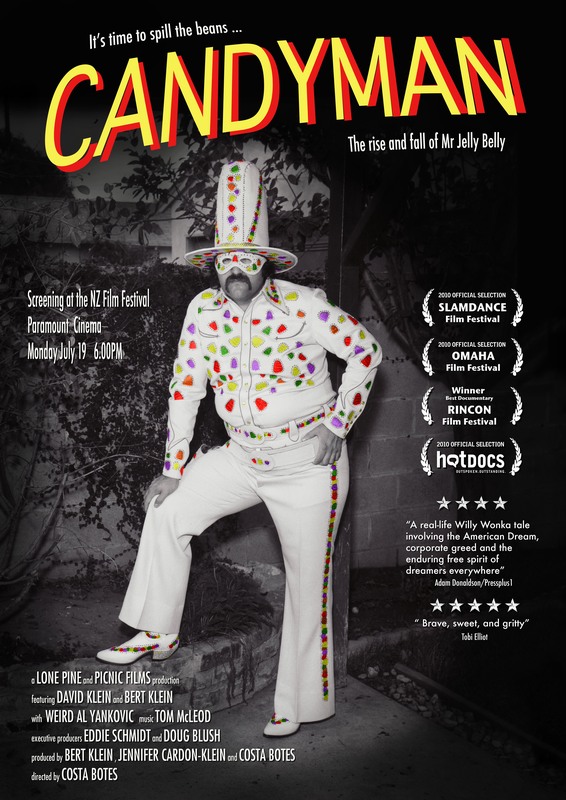 Candyman tells the strange yet true story of David Klein, an eccentric candy inventor from LA, who in 1976 had a once in a lifetime epiphany and brainstormed the concept of Jelly Belly © jellybeans. Today he says he regrets this, and that the beans ruined his life. Column One: Jelly Belly creator sour over lost legacy but sees sweet future – latimes.com. David Klein’s radical makeover of a stale old product brought color and shockingly realistic new flavors into the candy market. The beans revolutionized the business and became a pop culture phenomenon. It didn’t hurt that no less a personage than Ronald Reagan, president of the USA, proclaimed Jelly Bellies as his favorite sweet (and cure for smoking). At the apex of his success David inexplicably gave it all away. He went into a personal and professional decline, while Jelly Belly grew into a global multi-million dollar enterprise. The company replaced David “Mr. 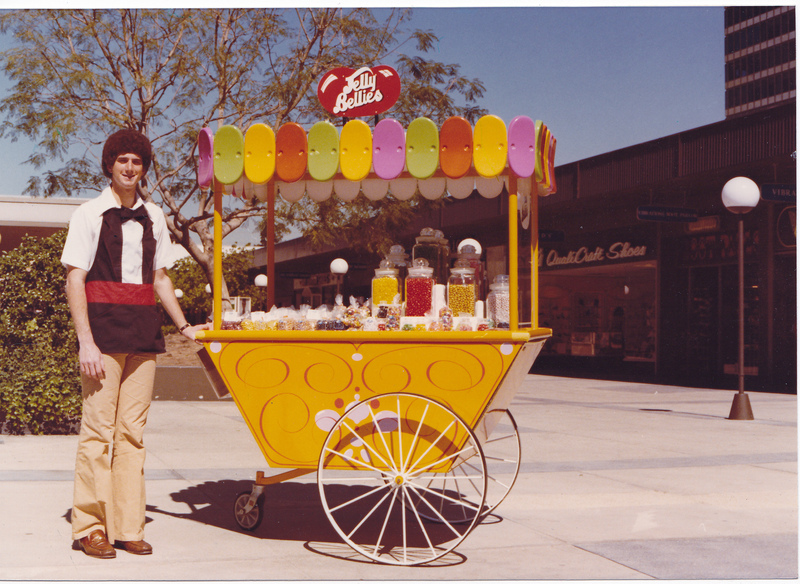 Jelly Belly” Klein with a guy in a funny costume, and virtually erased him from its history. David’s son Bert grew up wondering why his father was never happy, and after years of virtual estrangement he set out to discover the truth about what happened. This movie is about both sides of the American dream. It tells how a forgotten genius lost his beans, but kept his soul. Candyman: the David Klein Story (21). Amazon.com: Candyman: David Klein, Weird Al Yankovic, Bert Klein, Costa Botes: Movies & TV. Download or stream it on iTunes. Candyman: The David Klein Story (DVD) | IndiePix Films. Or buy a DVD direct: Candyman: The David Klein Story | Costa Botes – DVD store. There has been some interest expressed in the Candyman poster. This shows David Klein dressed in the Gumdrop Kid outfit made especially for him by Nudie, of Nudie’s Rodeo Tailor fame. Nudie was the Hollywood tailor to the stars, with clients like Elvis, John Wayne, Robert Redford, and hundreds of others. The story of David Klein’s suit is told in one of the DVD extras. At present we don’t supply posters commercially, but if anyone is desperate to have a picture of a large roly poly man in a white suit and silly hat festooned with colourful gumdrops, then contact me. I’m sure something can be arranged. Tom McLeod composer and arranger for film, television, recordings, big bands, stadium shows. Candyman: the David Klein Story review || Onfilm Magazine. Candyman : DVD Talk Review of the DVD Video. Candyman: The David Klein Story (Review). CANDYMAN: THE DAVID KLEIN STORY – HOT DOCS 2010 | CDNfilm Festival Reviews. Candyman: The David Klein Story < PopMatters. Watch tonight! 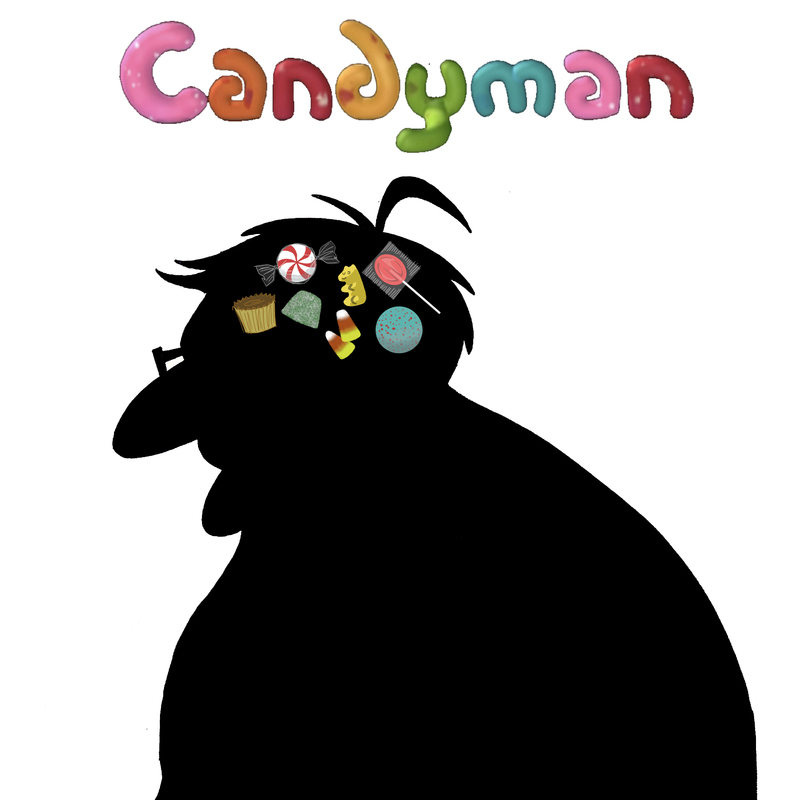 Candyman, a movie about David Klein, the inventor of the Jelly Belly jellybean!- Hard Candy. Candyman: The David Klein Story. Hot Docs: The Jelly Belly Empire [05-04-10 12:20 PM]. Capital Times, Wellington. What’s on in Wellington. Atheist Camel: Search results for David Klein. What’s David Klein Up to Now? Videos – The Inventor Of Jelly Belly – Chicago 3 Media. Please do the film makers a favor, and buy the movie direct from us if you’re contemplating a DVD purchase. You can buy it here: Candyman: The David Klein Story | Costa Botes – DVD store. Our US distributor Indiepix has made a frankly awful job of getting Candyman properly distributed. From the beginning their emphasis was on their own online library, and either through calculation or incompetence, they missed several important opportunities for pushing the title effectively. They even missed their own release date on Amazon. Then didn’t seem to even consider selling DVDs to stores. Promises of a limited theatrical release were plainly lies, and this company’s claims as a broadcast sales agent likewise proved ephemeral. I think I first knew we were dealing with apes when they showed us their proposed DVD art. A bad archive photo of a bunch of jellybeans. Brilliant. This then morphed into three colored jellybeans against a plain white background. And that was it – non negotiable – “trust us, we know what we’re doing”. On a more positive note, they did get Candyman onto iTunes, and Netflix, and it seems many, many thousands of consumers have availed themselves of these forums; but we have yet to see a single solitary cent back from our so-called distributor in return for all our hard work and personal financial investment. So, an educated warning to any film makers contemplating doing business with Indiepix. Don’t do it. They are not straight dealers. In a world full of crooked operators, these guys seem to find even more angles. My conclusion after this disappointment is that I’d do the movie again in a heartbeat. Even though it’s cost me and my partners a lot, and we’ve had very little back financially, it was worth it. David Klein is a fascinating man, and even in ‘failure’, he’s inspirational. The wonderful personal feedback we’ve had from hundreds of people, and all the new friends I’ve made – all this has made the Candyman experience entirely worthwhile. Against that, the miserable actions of a conniving and duplicitous sales company are entirely forgettable. I’d say shame on them, but they don’t have any.